Oh. 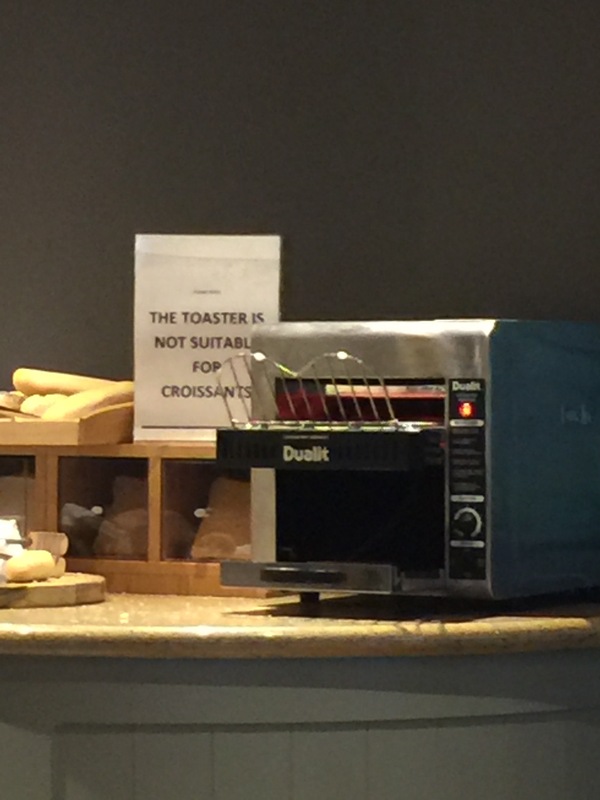 The meaning of that sign began to materialize in my mind nearly the exact second that I saw the croissant catch on fire. Orange and blue flames responded with immediate feedback to this foreigner who was far too tall to make it under the burners. I jabbed my knife in, in a feeble attempt to put out the fire. The blaze refused to relinquish its grip on my croissant. The smoke pouring from the toaster gave away my struggle. 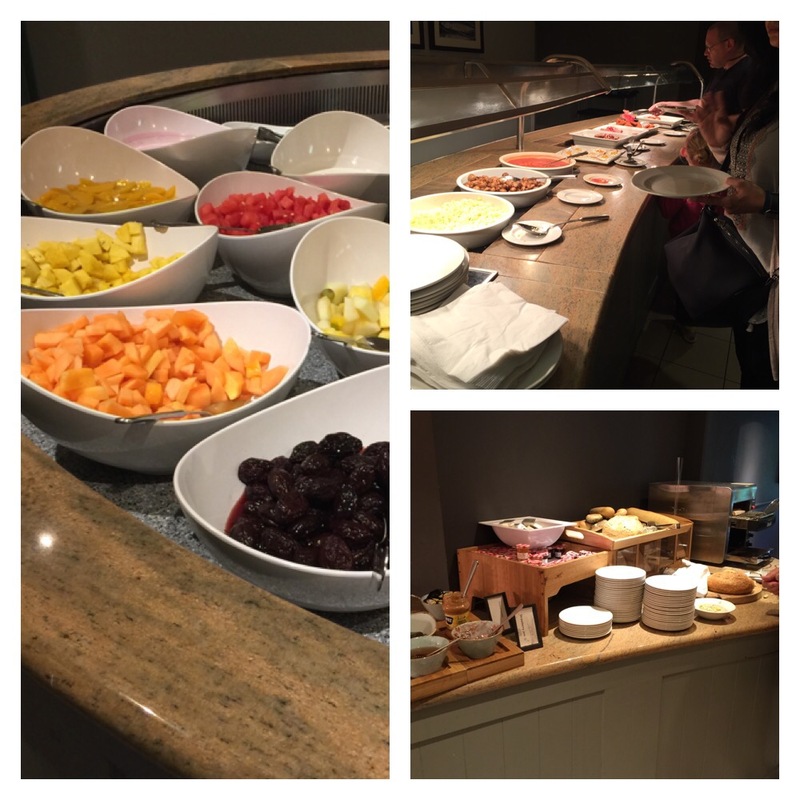 The breakfast bar attendant raced over. Without a single shard of humor, she pointed angrily at the sign and asked if I could read. I was at a loss for words, so I apologized profusely, while still attempting to grab hold of the flaming croissant. She grabbed a giant pair of tosngs and fished it out. She left me to gather my plate and respond to 30 kids who were chuckling at me. After breakfast we hopped on another “proper charter bus” and headed back to London for another epic tour. 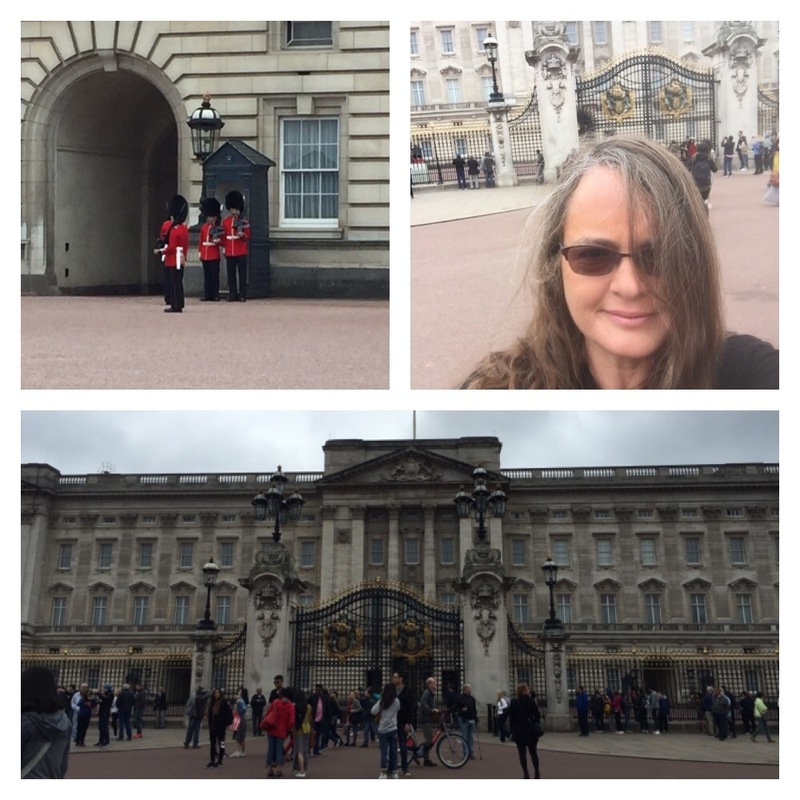 Our first stop was Buckingham palace- home of 90 year old queen Elizabeth. The queen was not at home, and we knew this because her designated flag wasn’t not flying. The traditional guards were there to look after the royal house. 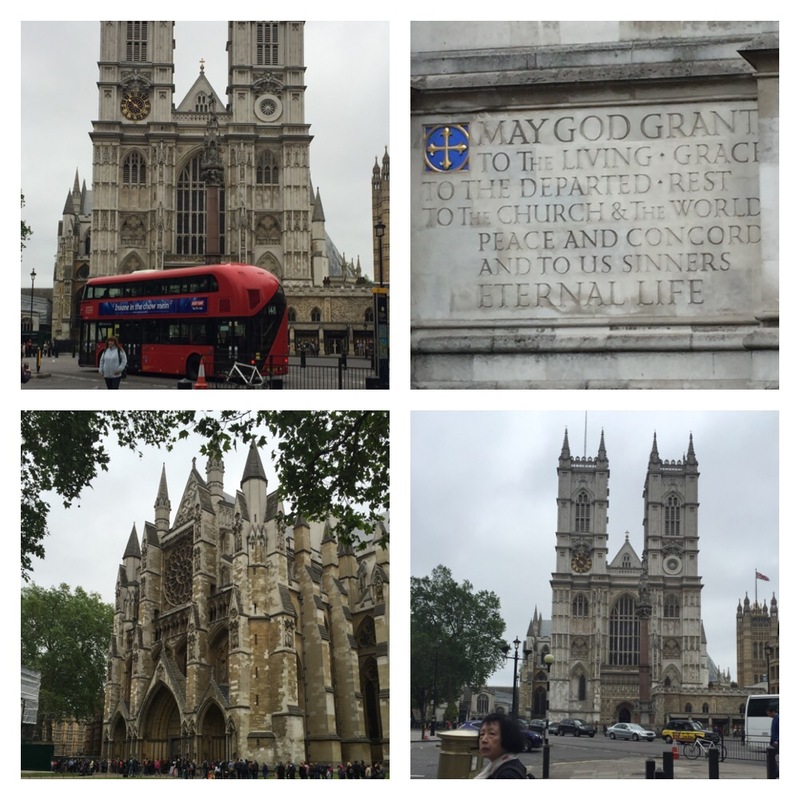 Our next stop was the breathtaking Westminster Abbey. Oh, how I have spoken of this place over my decades of teaching British lit. I just stared in utter awe at this massive structure of ornate beauty- built in 1066 to be England’s coronation church. I was so hoping to see Poet’s Corner, where rest of all my favorites- Chaucer, Blake, Dickens, Austen, Eliot, etc- but the line made this something for my next trip over! 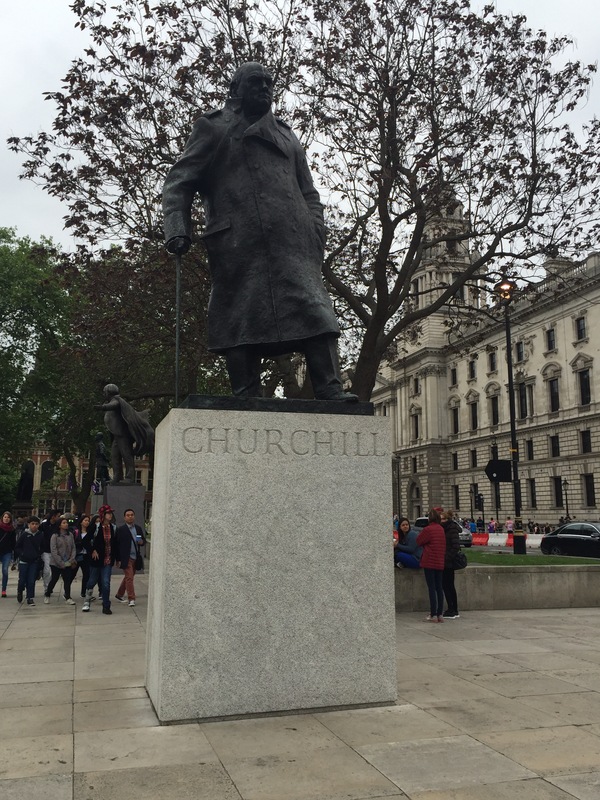 Elizabeth Braddock: Mr. Churchill, you are drunk. Churchill: And you madam, are ugly. As for my condition, it will pass by the morning. You, however, will still be ugly. 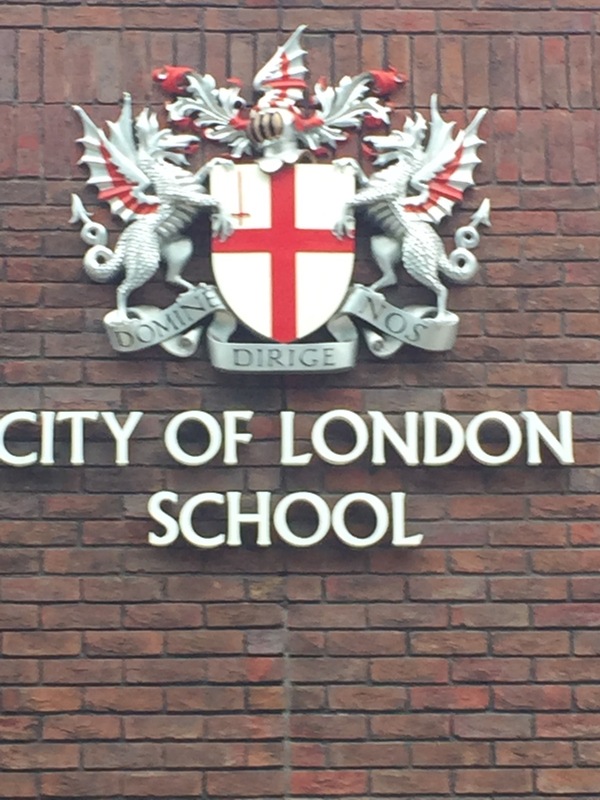 Harry Potter fans were enthralled by the next part of the adventure, which took us past the city of London School from the film- also the school that the actor Daniel Radcliffe attended. The view was spectacular from the bridge- and I was particularly ecstatic when I realized that we were nearing the Globe Theater! 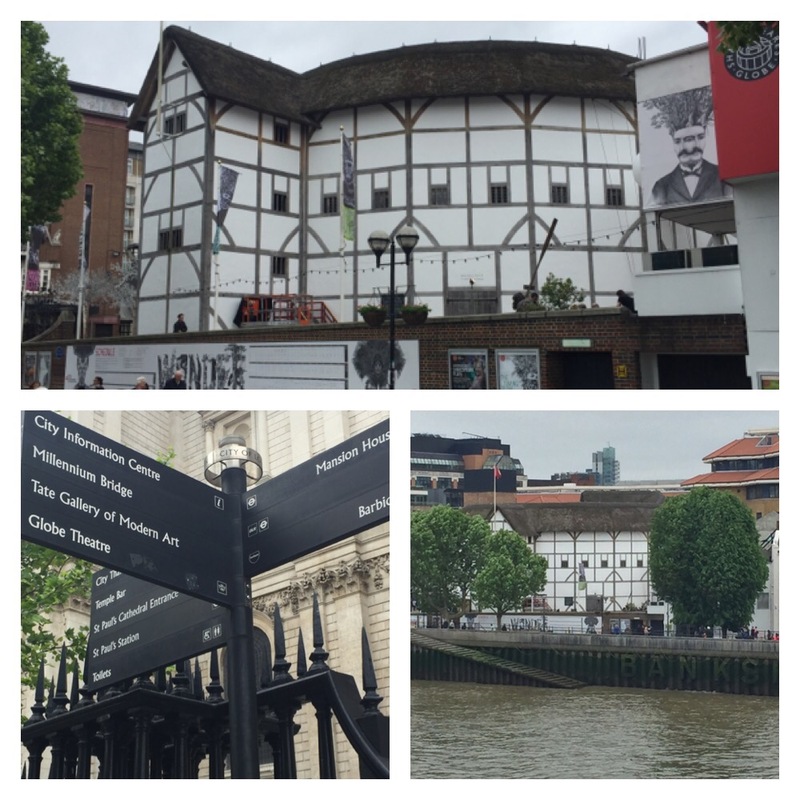 Although the original Globe burned to the ground when the special effects of a cannon went ary- it was rebuilt in painstaking detail and continues to serve London with great helpings of Shakespearian plays. 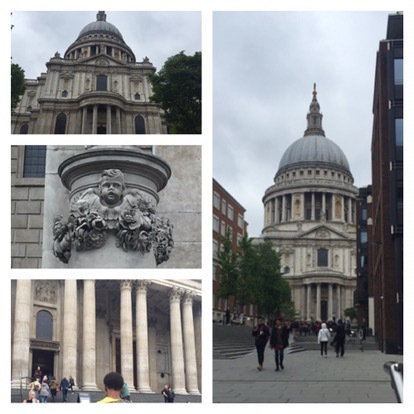 We walked back across the bridge, and straight into St Paul’s cathedral. As we approached this landmark, I recalled all the times I’ve read Blake’s Holy Thursday to my students- asked them to visualize his “flowers of London” marching in. The original church burned in the fire of London, but Chrostopher Wren rebuilt it to be the symbol of Protestant England. 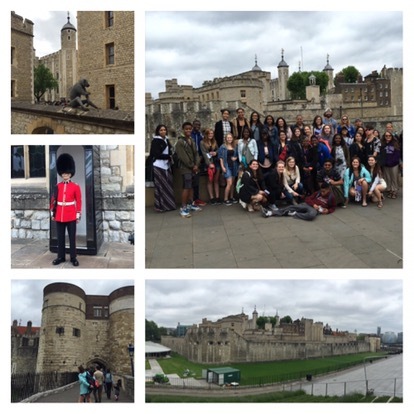 The final stop on the tour was the Tower of London. Here we wandered and learned the history of this place that is almost 1000 years old. We dined at a fun Asian noodle restaurant, where we are with chop sticks. 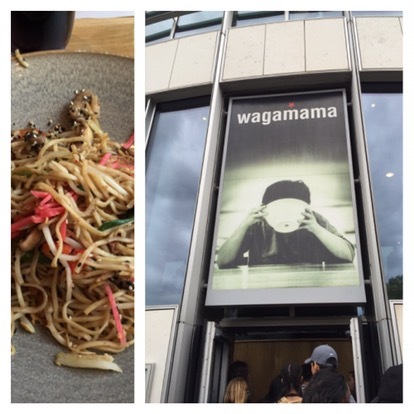 These noodles were delicious when sprinkled with a healthy helping of soy sauce. Dinner ended and we took a train to see Wicked. That was absolutely spell bounding! Will write more about it in tomorrow’s blog. I have to call this one a day. Morning comes early!